Taxes paid in Singapore are amongst one of the lowest in the world. But I’m curious about how many percent of Singaporeans actually pay taxes. Five Stars and a Moon takes a graphical look at otherwise very boring data available on public domain. 31% of Singaporeans including persons not economically active. 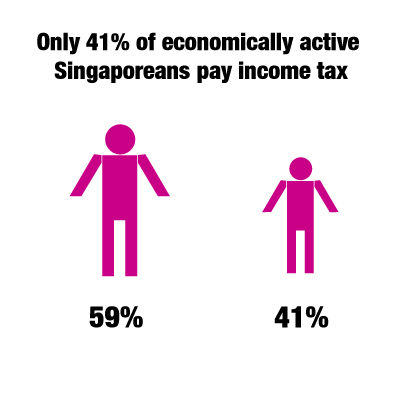 41% of economically active Singaporeans pay income tax. 20% is the highest marginal tax rate, levied on income above $320,000. The first S$320,000 of income is taxed at lower rates. The maximum effective tax rate is less than 20%. Examples of tax reliefs used in calculating taxable income: Employee CPF contributions, earned income relief (skewed to benefit seniors and handicapped), NS man relief, dependant parent/grandparent relief, parenthood relief (increases as you have more children). There are more than 20 different reliefs in the Singapore income tax model. the top 20% of households contribute about 53% in 2010.” Separately, Corporate Income Tax (CIT) accounts for about 31% of taxes paid in Singapore for FY 2010/2011. But all this data needs to be compared against another to give it meaning. If you have reservations over the data presented, have a look at your income tax invoice (that probably just arrived in your mailbox about a week ago) – how much did you have to contribute? *Source: Ministry of Finance, Singapore and the Inland Revenue Department of Hong Kong 2011. GST taxes everything including food and water. Therefore amount of GST is proportional to amount of spending. Therefore top 40% of Singaporeans and foreigners have 5.3 times as much money to spend then the rest of the Singaporeans combined. 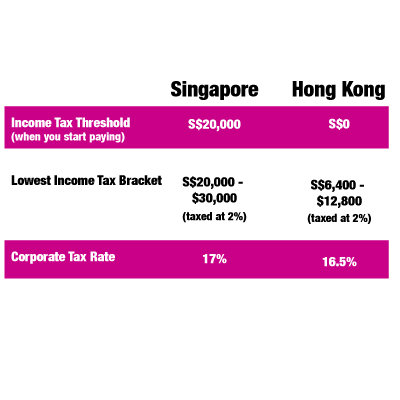 Companies paying the most of the tax reflects the same thing, everyone knows the companies in Singapore earns mega profits while cutting costs like a boss. 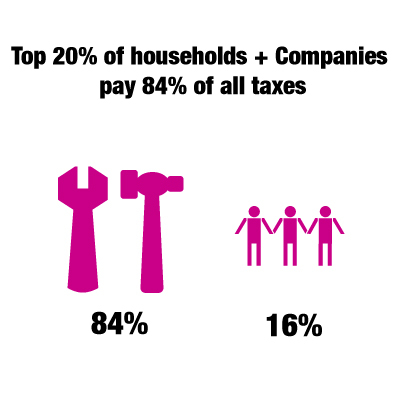 Top 20% of all households and companies pay 84% of all tax that is because of income inequality. Look at our Gini Coefficient and you understand why. The reason why our taxes are so low because many Singaporeans are not earning enough.